Hello Linux Geeksters. 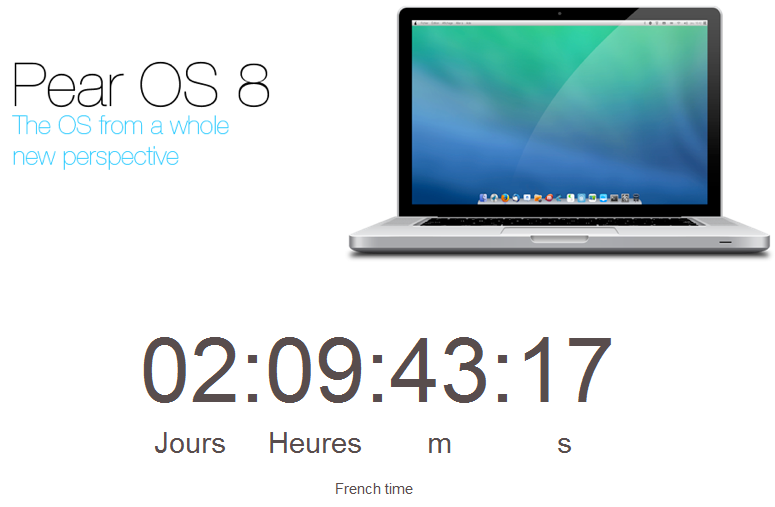 According to the courtdown timer from the official Pear OS site, Pear OS 8 will be released in two days. For those who don’t know yet, Pear OS 8 will be based on Ubuntu 13.04 Raring Ringtail, will use a customized version of Gnome Shell, called Pear Shell and will have a design inspired by Mac OS X , which has been recently released. David Tavares, the main developer of Pear OS is also the creator of Sync Drive, a frontend to Grive that enables the users to sync files with their Google Drive accounts.